James Johnson, 87, of Bluffton, passed away Wednesday morning, Jan. 31, 2018, at Bluffton Regional Medical Center in Bluffton. He was born Jan. 8, 1931, in Leslie County, Ky. to Henry and Eva Howard Johnson. Jim worked as a coal miner in Leslie County and retired from Sterling Casting in Bluffton in 1993, after working almost 25 years. He served his country in the United States Army during the Korean Conflict. On Aug. 6, 1952, Jim married Patty Lou Miller at the Liberty Center United Methodist Church. They shared 53 years together before she preceded him in death Nov. 11, 2005. 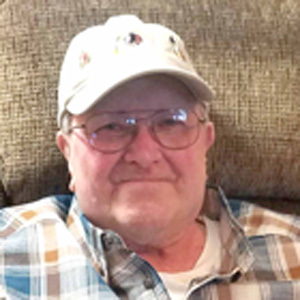 Jim was an avid NASCAR fan, enjoyed watching football, basketball, spending time outdoors, fishing, loved blue grass music and spending time with his grandchildren. Survivors include his four children, Jeff Johnson of Greenfield, Shirley Johnson of Tucson, Ariz., Rhonda (Mike Richardson) Johnson of Bluffton and Kevin (Allie) Johnson of Uniondale. He was a loving grandpa to 19 grandchildren, 26 great-grandchildren and five great-great-grandchildren. He is also survived by a sister, Betty Farley, and a brother, Billy Ray Johnson, both of Hyden, Ky.; and a daughter-in-law, Mary Jo Johnson of Bluffton. He was preceded in death by his parents; wife, Patty; a daughter, Cathy Doublin; a son, James P. “Jimmy” Johnson; a grandson, Edward “Eddie” Doublin; a daughter-in-law, Sharon Johnson; three brothers, a twin, John Johnson, Leamon Johnson and Bobby Joe Johnson; and two infant sisters, Edna Faye and Marcella Johnson. A service to celebrate Jim’s life will be held at 5 p.m. Saturday, Feb. 3, at the Thoma/Rich, Lemler Funeral Home in Bluffton. Calling hours will be held from noon to 5 p.m. Saturday prior to the service. A graveside service will take place at 3 p.m. Monday, Feb. 5, at Grassy Gap Cemetery located in the mountains of Leslie County, Kentucky.